It was November 2014 and I was settling into London, having finally secured my children’s placements in their schools, we were getting into our daily routines and I was missing my friends terribly so the idea of a girl’s trip albeit not until July 2015 was something that I looked forward to. I had so much fun attending the 20th Anniversary Essence Festival with my line sister Suzette in 2014 that when tickets went on sale for the 2015 festival and it was confirmed that one of my favorite entertainers Mary J Blige would be performing again, not to mention returning to some of the best food I’ve ever eaten in my life it was a no-brainer. Then Delta airlines had their black Friday sale and that absolutely sealed the deal for me. With flights booked and the hotel and ticket package purchased all that was left to do was countdown to what promised to be an amazing girl’s trip. We started as a group of four women but as the trip approached we were again a party of two as Suzette and I slipped back into our Thelma and Louise alter-egos. I left the office in London at 4PM on Wednesday, July 1st and headed straight to the airport to catch my flight that I booked with a 12 hour layover in New York just so that I could get my hair done before heading to New Orleans. It was a perfect plan which unraveled slightly when my flight was delayed so by the time I landed, went through customs, jumped in a taxi and arrived at my hair stylist’s house in Brooklyn it was nearly 11PM. Thankfully my stylist is also a really good friend because I didn’t leave her house until 2AM. I had just enough time to go kiss my mom and catch a 3 hour wink before heading back to the airport for my 8AM flight to New Orleans. I ran into a friend that I hadn’t seen since I was home for Christmas on the flight and I totally forgot how tired I was as we caught up about family, travel and work. I arrived in New Orleans around noon on July 2nd and met Suzette whose flight arrived shortly after mine. After dropping our bags at the Lowes hotel our first order of business was to pay a visit to Bourbon House and finally enjoy the charbroiled oysters that I had been waiting to for for the past year. 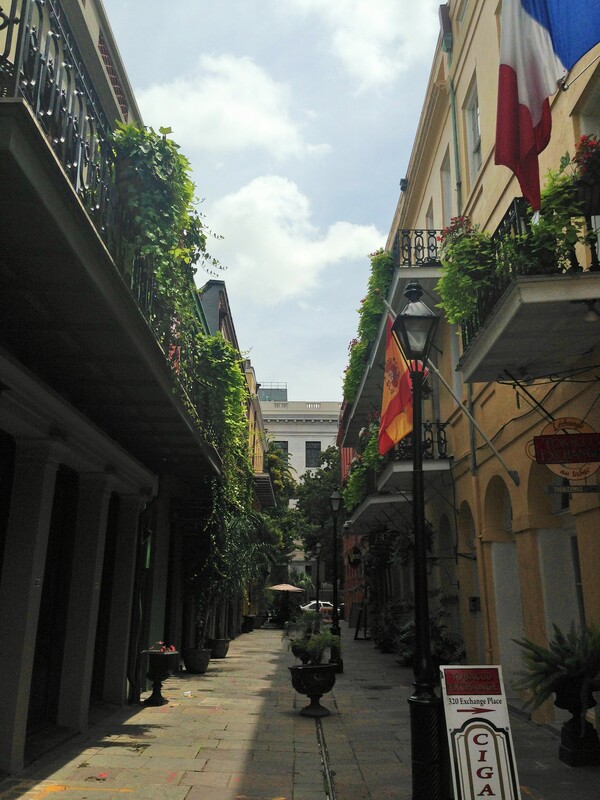 Arriving on Thursday afforded us a day to stroll around the French Quarter and enjoy the charm of the city before it would be overrun by fellow festival attendees bringing traffic congestion and adding long wait times to quaint local restaurants serving authentic Louisiana cuisine. Over 24 hours of travelling plus a 6 hour time zone change was starting to catch up with me so after a quick mani/pedi I headed back to the hotel for what was supposed to be a quick nap but turned into a mini crash that caused me to miss Kevin Hart’s performance. I was disappointed but quickly rebounded on Friday morning by the wonderful massage that I enjoyed while waiting for a table at Café Fleur De Lis to enjoy the seafood benedict and barbeque shrimp Bloody Mary for breakfast. The masseuse was a lovely woman named Tanya who told me about her breast cancer survival and bits of her background before imparting some really impactful words of advice. One of the best aspects of travelling is meeting new people; I gain inspiration and fresh perspectives every time I step into different spaces with different people. After the massage and breakfast we changed hotels to Hotel Monteleone and spent more time strolling around the French Quarter taking the time to admire the architecture and make our pilgrimage to Café Du Monde for beignets and the best frozen café au lait I’ve ever had. We later returned to our hotel to get ready for the concerts that evening and were treated to amazing performances from Lalah Hathaway, Kelly Price, Erykah Badu and Frankie Beverly and Maze. I absolutely love Kelly Price and I was a puddle during her performance of I Need A Healing for My Soul. I must see her again when she comes to London this Fall. Careful not to overdo it and risk crashing and burning from fatigue I returned to the hotel missing several great parties that night. We started Saturday, July 4th with more great food at Creole restaurant where I had the best shrimp and grits of my ENTIRE life. The irony of being a Black woman and an American Expat on Independence Day was not lost on me as I enjoyed breakfast in the building that was originally the site of a slave exchange. It was also the building in which then General (later President) Andrew Jackson planned the Battle of New Orleans where the British surrendered to American troops furthering American independence. In London, I often hear comments made that America doesn’t have much history as a relatively young nation but I know that I don’t have to look far to experience the depth and richness of American history that is a current today as it was 250 years ago. An American History lesson over breakfast. I woke up at 3AM on Sunday and as soon as was reasonable I headed out to enjoy an early morning walk on the waterfront. A swamp tour was on the agenda for the day as we travelled an hour outside of the city to see the alligators and learn about life in the swamp. 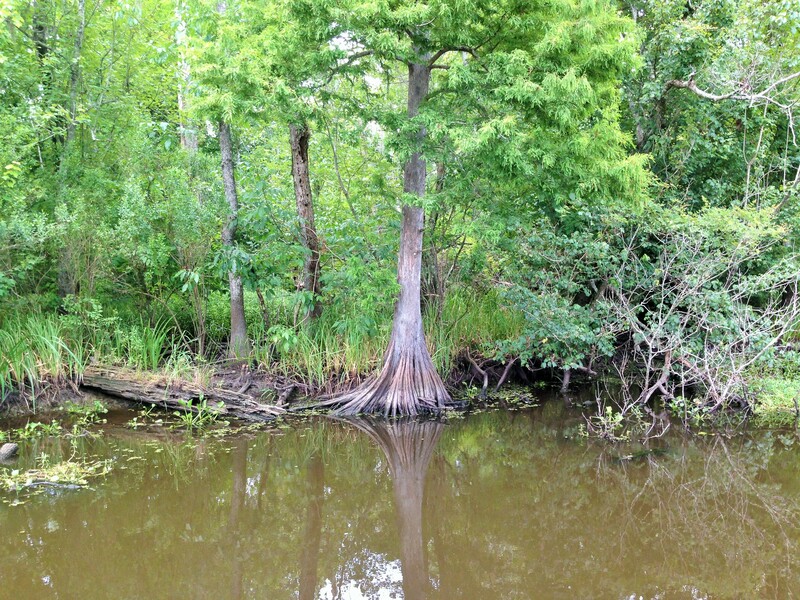 We were fortunate to have a tour guide who shared stories about his upbringing as a Creole in the bayous of Louisiana. Last year we toured The Laura and Oak Alley plantations and I learned about life in Louisiana during the slave era and this year’s swamp tour gave me insights into another side of life post-slavery. The combination of history and nature made for the tour perfect, the oppressive heat notwithstanding.The sounds of jazz music filled the streets as we made our way back to our hotel to get dressed for one of the best day parties of the weekend. Three large rooms with DJs spinning old school hip-hop, reggae, trap music and rap. There were celebrity hosts and guest appearances but the best part was seeing several high school friends, some that I hadn’t seen in years. After the party we stopped at the hotel to change quickly before we made it to the Superdome as not to miss Saturday’s line up featuring Missy Elliot and Usher. There were no after parties on the agenda for me as I my body was still on UK time and I wanted to keep it that way since I had a full work week to return to and couldn’t afford to be tired. I woke up at 3AM on Sunday and as soon as was reasonable I headed out to enjoy an early morning walk on the waterfront. A swamp tour was on the agenda for the day as we travelled an hour outside of the city to see the alligators and learn about life in the swamp. We were fortunate to have a tour guide who shared stories about his upbringing as a Creole in the bayous of Louisiana. Last year we toured The Laura and Oak Alley plantations and I learned about life in Louisiana during the slave era and this year’s swamp tour gave me insights into another side of life post-slavery. The combination of history and nature made for the tour perfect, the oppressive heat notwithstanding. After the swamp tour we made our way back to the cool and comfort of Mr Ed’s restaurant to enjoy more charbroiled oysters this time prepared southwest style topped off by Louisiana bread pudding as we waited out the rainstorm that dumped rain on the city so hard that it poured off rooves like waterfalls. Thankfully the weather eased in time for us to return to our hotels to get ready for the most anticipated performance of the festival. Mary J Blige gave an fantastic performance as always and closed her show with a surprise guest performance with Method Man of You’re All I Need. Even if you’re not singing along with me to every lyric you can’t deny that she gives 100% in every show and you feel the emotion that she pours into every note. After seeing Mary I was done, over, finished; I needed nothing more. 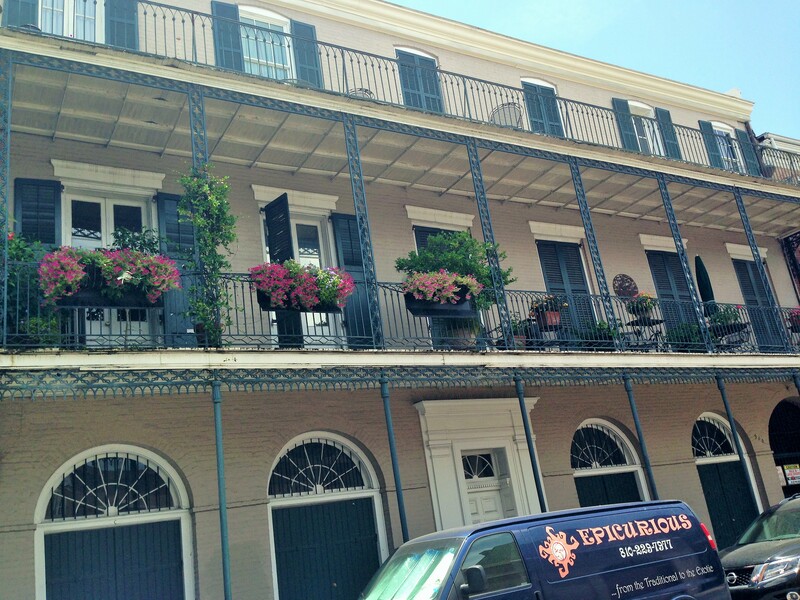 I got the experience that I had traveled all the way from London to New Orleans to have. Kendrick Lamar closed the festival but I didn’t even stay to watch, instead heading back to the hotel to pack for my early flight the next morning. My flight left New Orleans at 8AM on Monday and I had a 7 hour layover in New York; admittedly not my best planning. There wasn’t enough time to leave the airport and do anything worthwhile and still make it back two hours ahead for my flight to London so I waited it out in JFK. I landed in London just after 7AM on Tuesday and headed straight into the office. I showered and got dressed in the gym and worked the full day. I was “absolutely shattered” as the Brits say but I wouldn’t be me if I wasn’t doing “the absolute most” as my friends often say to me.